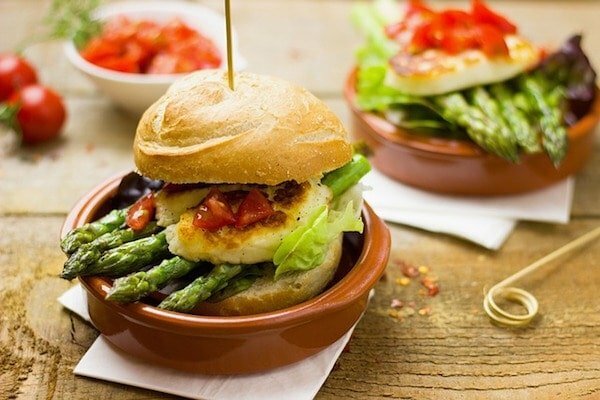 Spain may seem like a difficult place to eat vegetarian food, but when you know where to go and what to eat, it can become a true veggie-friendly foodie heaven. Despite the seemingly abundant menus featuring meat in all its glory, there are plenty of equally delicious meatless tapas that every vegetarian will love. Order some of these tasty vegetarian tapas in Santiago de Compostela and you’ve got yourself a feast! Vegetarian food is plentiful in Galicia if you know where to look. To start off the roundup of the top vegetarian tapas in Santiago de Compostela, nothing beats a classic. Croquetas are creamy, crispy small bites that you can find on tapas menus all over Galicia, as well as throughout Spain. They’re made of a thick béchamel sauce with bits of meat, fish or vegetables, then coated in breadcrumbs and fried. The good news: some of the best croquette flavors are completely vegetarian friendly! When it comes to croquetas, some great vegetarian options are de setas (mushroom), de puerro y queso (leek and cheese) and de queso Cabrales (made with strong Cabrales cheese from the north of Spain). Try them all and pick your favorite! DIY it: If you can’t make it to Galicia or Spain just yet to try these yummy vegetarian croquetas, try Lauren’s recipe for potato croquettes you can make at home! Mild, creamy Galician cheese paired with sweet, tangy membrillo fruit jelly is an absolute match made in heaven. In fact, it’s so good Galicians sometimes eat this as a dessert! Queso Tetilla is the most famous Galician cheese, easily recognizable due to its cone shape. This pasteurized cows’ milk cheese is matured for no more than 30 days and makes the perfect partner for an autumn favorite: membrillo or quince jelly. Fried potatoes and a spicy sauce: so simple and so delicious! Don’t underestimate this popular Spanish dish. It’s the backbone of almost every tapas menu and a great go-to option for anyone seeking out vegetarian tapas in Santiago de Compostela. The potatoes are cut into wedges, deep fried and served with a a spicy paprika-based sauce. 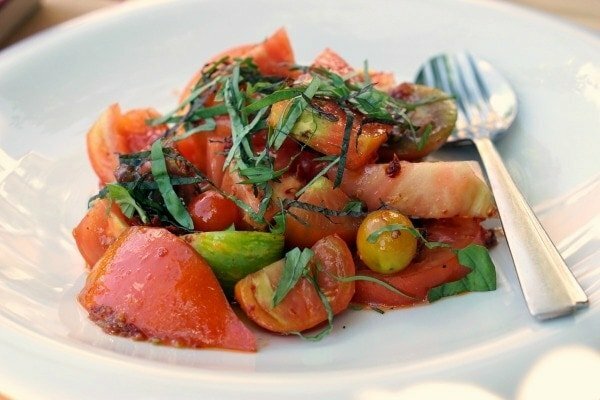 In many places, the spiciness of the tomato sauce is cut with a dollop of garlic mayonnaise, or alioli. Try it: Melissa’s classic patatas bravas recipe is a winner! These bright green little peppers are perfect when you’re craving vegetarian tapas in Santiago de Compostela. Most of these peppers are mild, but every so often you might get a hot one, so watch out! Because they all look the same, it’s impossible to tell which peppers pack the spicy punch. In fact, there is a popular Galician saying about these little peppers: Os pementos de Padrón, uns pican e outros non (Padrón peppers, some are hot and some are not!). There isn’t much mystery behind this delicious vegetarian tapa—just fry the peppers in lots of olive oil and then sprinkle with a little rock salt. Simple but delicious! Padrón peppers are the Russian roulette of Galician food—most are mild but sometimes you get a spicy one! Spanish tortilla is quite different than its Mexican counterpart. 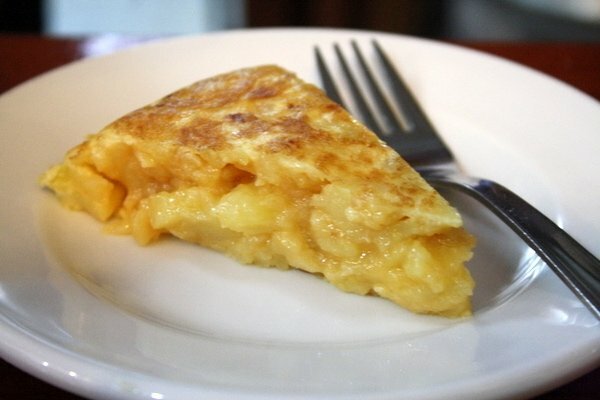 Here in Spain, tortilla española is a delicious mix of eggs, potatoes and onions. 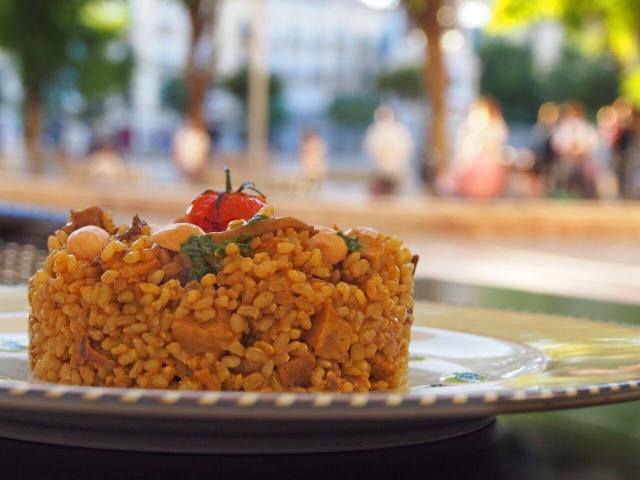 Similar to a frittata, it’s one of the most popular vegetarian tapas in Santiago de Compostela, as well as throughout Spain. Locals love to eat it for dinner with a salad and a chilled glass of wine to wash it down, and the most diehard tortilla enthusiasts almost always have a preference for how they like theirs: firm and cooked through, or soft and runny on the inside. Potatoes + eggs = Spanish food perfection! See also: Lauren’s authentic tortilla recipe is perfect for anyone who wants to try their hand at whipping up this Spanish classic at home.